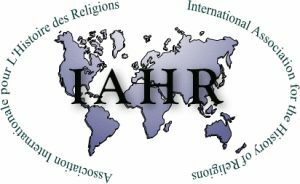 22nd Quinquennial World Congress of the IAHR Announced For August 2020 – Zero Equals Two! “On behalf of the New Zealand Association for the Study of Religions, it is our great pleasure to invite you to the University of Otago for the 22nd Quinquennial World Congress of the IAHR. “The theme of the congress is Centres and Peripheries. New Zealand is both central and peripheral to the study of religion: further East than Japan, further south than almost anywhere, New Zealand’s small size and geographical isolation have meant the people of New Zealand have always looked outwards, whether to Hawaiki or to the intellectual centres and tradition of Europe. “New Zealand is also a Pacific nation, with deep ties to the Pacific societies which have formed the setting for both classic works in the study of religion and for some of the most innovative contemporary studies on religion and society. “While welcoming contributions on any topic in the academic study of religion, this year’s Congress will have the theme of Centres and Peripheries. “From its earliest moments, the academic study of religion has consistently placed certain traditions, peoples, geographies, concepts, and institutions at the centre of its analyses, while at the same time relegating others to the periphery. The 2020 Congress invites scholars to reflect on these dynamics, to historicize and critique them, and to reconsider how, why and with what effects scholars of religion have engaged in acts of normalization and marginalization. The setting of New Zealand, distant from the historical centres of religious studies in North America and Europe, provides a fitting location for this examination as well as for considerations of other related dynamics. These include patterns of dominance and subjugation, transformation and repositioning and, especially, migration and indigeneity. While we welcome interdisciplinary, multi-method and comparative research, we ask that scholars submit within one of seven themed areas. “Locality and movement: Studies that focus on the emplacement and migrations of people, texts and traditions over spaces and times. This includes themes of migration, colonization and diaspora. We especially welcome submissions examining the category of indigeneity and indigenous religions. “Regulating and Debating: Studies that consider religion in the context of debates over the proper ordering of human society and the regulating of human behaviour, especially as it relates to the intersections of religion with legal regimes and/or structures of political power. “Historicizing and embodying: Studies that focus largely on situating religious communities, persons, practices and/or institutions in their historical and cultural contexts. We especially welcome submissions examining religion in places, times and contexts that have been historically overlooked or marginalized in the study of religion. “Interpreting and comparing: Studies whose main focus is on interpreting, clarifying, comparing and/or analysing texts, rituals, stories, material culture, art or other elements of religion. This includes studies that examine the place of religion in material and textual artefacts not normally associated with religion. “Innovating and transforming: Studies that focus on the transformations of religion over time, with particular attention to recent transformations in technology, communication and social organisations. We especially welcome studies that reflect on the influence of new media on religion and religious studies. “Measuring and Testing: Studies that focus on causal factors that lead to and shape systems of beliefs, behaviours, and institutions found in one or more traditions, regions, and/or across time. This includes studies that reflect on role and importance of scientific and empirical methodologies in the study of religions as well as studies that consider generally the interplay of science and religion (as methods, fields of expert knowledge, and historical constructs). Daily reminder that the Abrahamic religions: Christianity, Islam, and Judaism, have done more to destroy history than any other faiths. Whether it was the destruction of indigenous European societies, the abolition of Iranian Zoroastrianism, or any of the locales that Moses put “under the ban” or wipes out totally, these three religions have caused more destruction than even Gengis Khan Mongol empire.